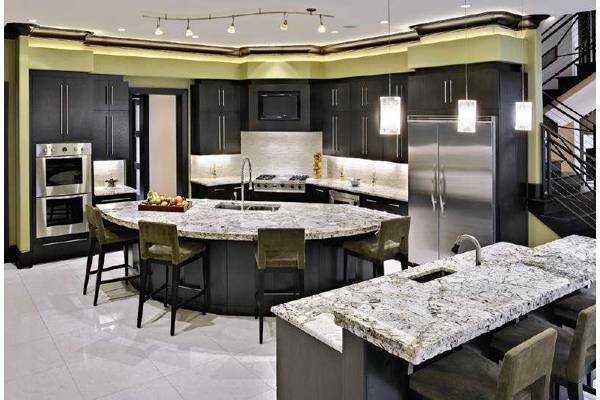 Every day this week I'll be featuring Celebrity Kitchens that I love. Which of the four did you like best today? My favorite was Darren Stars, but I also loved Elton John's colorful kitchen (and that light fixture!!). I think my favorite is Leanne Rimes. I really love her piece of marble on the island and her light fixture. All are beautiful though in their own right, I wouldn't say I don't like any of them. This is a fun week of celebrity kitchens! Elton has the wow-factor (which isn't a surprise), though Darren's is my personal fave. Fun posts! I'm going with LeAnn Rimes as well,even though that's the kitchen of her old home in Nashville that she recently sold.Not that it really matters,but just putting it out there. Ya I knew that about LeAnn Rimes, actually quite a few of the kitchens I've posted this week are from celebrities old homes.